Kimora Lee Simmons shared the amazing details on how she gave birth to her “11 pounder” son, Wolfe Lee, using no drugs and having an all-natural delivery. 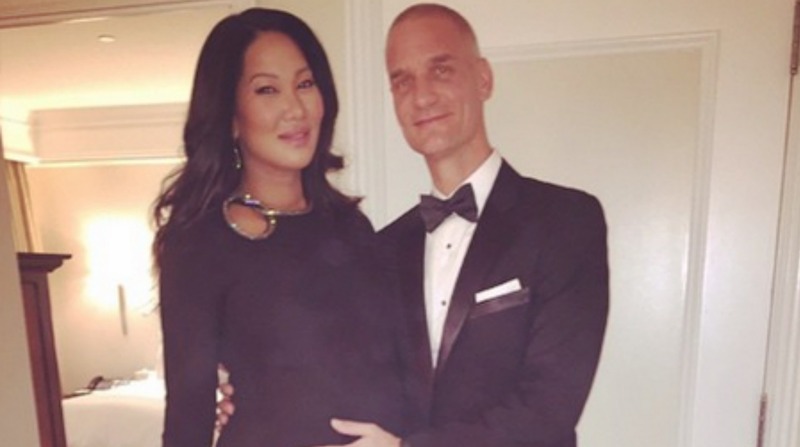 Designer and model Kimora Lee Simmons welcomed her fourth child, her first with husband Tim Leissner, and she shared the details on her natural birth of her 11 pound (yes, 11 pound!) baby. The 39-year-old has two daughters with ex-husband Russell Simmons (Ming, 15, and Aoki, 12) and a 5-year-old son named Kenzo with ex-boyfriend Djimon Hounsou. She also made sure to include a thanks to the nurse who helped her with her all-natural delivery. “Thank you also to my special ‘nurse Maureen’ and team that helped get this 11 pounder OUT of me!” she wrote. The model mom remains close to her ex-husband Simmons and Hounsou. She posted this photo of Hounsou posing with their son Kenzo, as well as her daughters Ming and Aoki on her Instagram page.